Maybe the creepy stalker turned out to be just a regular fan with a love of fine Swedish architecture, or he found some other semi-celebrity to murder. Anyhow, it’s good that Jens is still with us, as his unfortunate departure would not only have caused some retroactive guilt, but also put a serious damper on our excitement about the upcoming trip to Seattle. Out of the six people working at Frictional Games, three was going. Marc felt under the weather and chose to join Jens and Thomas to hold down the fort while Mikael (that’s me! ), Luis, and Marcus, prepared for the journey. Less than a month later I stood in line to catch my connecting flight out of Frankfurt headed for Seattle. It should be noted that Frictional Games don’t have an office, so I would be meeting Marcus and Luis for the first time on the trip. Marcus would join me in Frankfurt, while Luis was flying in via Paris. At first everything went smooth, I even had time to change my seat, seeing as Marcus and I hadn’t been seated together. Of course, I mixed up the rows and got a seat even further away. Marcus texted me: “I’m not gonna make the flight!” That’s bad news, I thought, as I was ushered aboard the plane. People crammed themselves into the plane and still no sight of Marcus. Then I got a text from Marcus: “I made it!” I wiggled myself into a weird stand, turned around, and caught a glimpse of his waving hand a few rows back. Looks like we won’t be seeing each other until Seattle. As the plane landed I said farewell to the farmer from Oregon, who I had badgered for information about Seattle, and waited for Marcus to emerge from the back rows. He smiled broadly and shook my hand. "Yes, and I feel thankful that I am here to welcome you." Those weren’t the exact words, but I feel the Stanley-Livingstone greeting is appropriate considering the long wait. Our Russian driver dropped us off outside our hotel in Bellevue, a neighboring city to Seattle, just across Lake Washington. While checking in, I made sure to ask about Seattle and the sights in Bellevue. The concierge swiftly pulled out a map and marked all the points-of-interest for me. I did not know it yet, but I would end up with quite a few of these maps at the end of our trip. Luis showed up an hour later. Having found our third team member, it all seemed to come together. Luis natural suave worked well with the joviality of Marcus and my own phlegmatic disposition. After a quiet celebration of our triumph of getting there, we faced a new problem; we had basically been awake for 30+ hours and it wasn’t even noon yet. 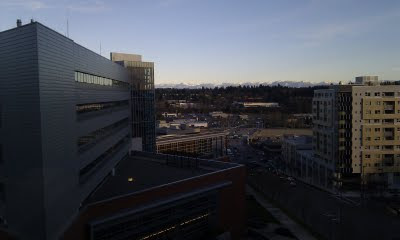 We decided to stay in Bellevue that day and get some general shopping out of the way. The concierge pulled out another map and marked the stores of interest. 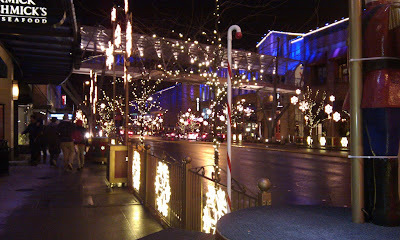 We took in as much as we could of the American experience as we roamed streets and the mall near the hotel. We considered it a wild stab in the dark, but we decided to head for Game Stop and check if they had Amnesia in stock. Not only did we find a copy of Amnesia, but also the Penumbra Collection! Proud and a little full of ourselves, we went looking for food. The concierge pulled out another map, and started marking the restaurants. Despite her efforts, we ended up at Subway. “Excuse me, I ordered a medium,” I said, shocked by the size of my drink. “Yeah, that’s the medium,” the cashier rolled her eyes. Marcus, Luis and I, eyed the huge medium cup with unease as we chowed down on our subs. The day continued and our lack of sleep became more and more apparent. Coffee didn’t help, especially not for Luis, who kept insisting on drinking hot chocolate. We made it to around 8:00 p.m. before we caved in. The next day happened to be the only day we really had time to do something before the whole Portal 2-mayhem started. We had to make this day count, but first some breakfast. We found our way to a diner called Palomino. “Do you know what Palomino means in Spanish?” mused Luis as we waited for the food to be served. Marcus and I looked at each other with a we are going to regret this-look. The waitress swooped down with our food. “Everything in order?” she asked. “How do we get to Seattle?” I asked the concierge. She seemed confused at first, perhaps as there was no reason for her to give me a map, but told me that taxis were easy to find. “Taxi it is,” I said while trying to figure out if I could leave the redundant map on the counter. I tried to evade her cheerful gaze, but failed. The concierge smiled and nodded approvingly as I took the map and pocketed it. “A school? It’s so big,” I interrupted. “Fascinating,” I closed the conversation, staring into her dead eyes. Just before I started to wave my hand in front of her, to see if she was still with us, the elevator went: “Ding!” The doors opened and the girl ushered us outside. We made our way down to the waterfront, passed a marina and an aquarium, and continued to Pike Place. It was a public market with vendors selling various knick-knacks, souvenirs, and fish. After dodging our way passed people and crustaceans, we emerged on the other side and headed up into the city. We strolled through the skyscraper area with an appropriate amount of awe, making us look impressed, but not too touristy, until. “Hey, look at the bus!” called Marcus. Luis and I looked at the bus breaking for the traffic light up ahead. The ad splayed across the side read: Portal 2! Whatever remnants of cool we still possessed escaped us. It was a funny feeling, being proud for Valve’s sake. It was not like we had anything to do with the game itself, we still did our thing. We were still Frictional Games, yet we happily associated ourselves with the American giant. So we took some pictures. Suddenly we noticed some people we recognized on the other side of the street. 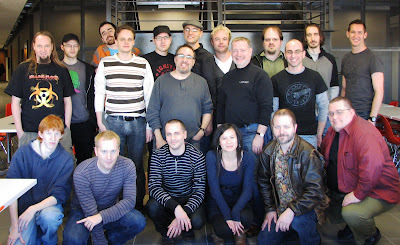 It was a group of indie-developers from Two Tribes. “Are you guys coming tonight? All the indies are meeting,” they said. After a brief encounter with Seattle’s chinatown, we made our way back across the lake, to Bellevue and the hotel. We were starving and a place called Pagliacci Pizza would have to do. “Could you pull back on the cheese… like a lot?” asked Marcus. The waiter looked puzzled and simply said yes. American food, sure was bit excessive sometimes. Luis raised his eyebrow mischievously. It really didn’t mean anything, and I knew it wouldn’t. Since Pagliacci is a very famous opera about a clown, who murders his wife and her lover on stage. Which sort of goes to tell, if you are picking out a restaurant name, depressing wins over nasty every time. The food was actually really good, except for the beer which was like a strange mix between apple juice and a Budweiser. The evening finally culminated at Joey’s where we got to meet the other indie-developers. It was a nice and welcoming group which quickly turned the night into a merry event. At Valve we were quickly ushered into a hallway where a cornucopia of food were presented to us as breakfast. Pastries, fruit, and coffee. It was enough to please even the most starving developers. On the other side of the hall was a table filled with Valve swag. Portal bags, signed copies of the game, t-shirts, companion cubes, the list goes on. The indies descended upon the free stuff, lifting it into the air, laughing maniacally as if receiving bounty from the gods. Slight embellishment, but we might as well had. Time for the tour. It may come as a surprise to many, but game developer’s offices are quite conventional. I’m sure many have found out the hard way, but it simply isn’t that convenient to work inside a laser-tag course or a room fitted like a medieval castle. It usually comes down to some minor decoration – a headcrab, a turret, a gold crowbar, and so on. What did catch my attention was Gabe’s knife collection. The collection has an entire room dedicated for it and it is indeed filled with neatly displayed knives in all shapes and forms. I find it funny how readily we accept this oddity inside the offices of a successful company, while in someone’s home, we would instinctually stab the closest friend in hope his cries would distract the owner long enough to get the heck out of there. Lunch was a massive joint effort and the small army of developers sieged a local restaurant to cure their hunger. Across the table sat John from Steam. We talked about this and that, also happened to mention our strange experience with American beer at the pizza place. “There is some really good beer here, you just need to know where to find them,” he said and we thought little more about it. Everyone gathered inside a conference room for an ARG post-mortem meeting. The few chairs filled up quickly, so people ended up leaning on the walls or sitting on the floor. The place was packed, but it was a nice feeling. It felt like going to a convention, with a lot of positive and smiling people. As everyone started to share their experience with the ARG, my eyes opened up to what really had been happening. It is difficult to explain, but I felt that we might have been working too much on pleasing our fans and not the fans of Portal 2. I started to doubt our efforts, but I would soon be swayed. “Jeep, when would you say you first felt like the ARG was really taking off?” asked one of the indies. It should be explained that Jeep is a man working at Valve. Not only did he spearhead the ARG, but he is also one of the original creators of Portal. Whatever he has to say, it counts for something, at least in this situation. Jeep sat on the floor in a lotus position, serene like a buddhist monk. 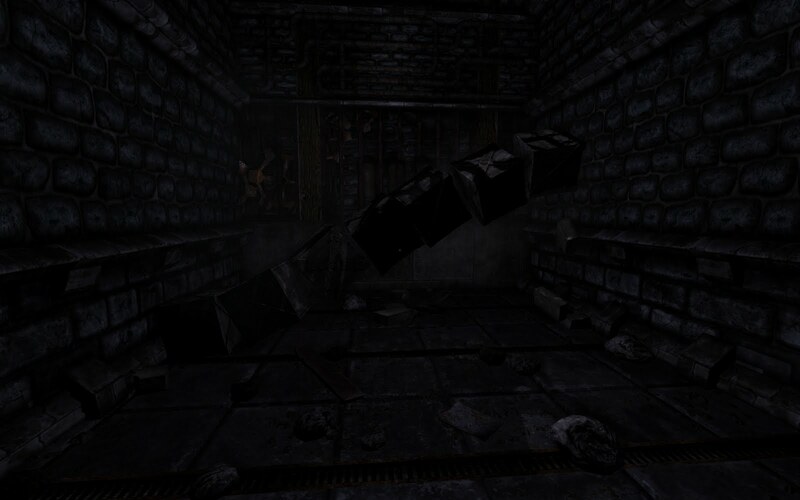 “I think it was when I first saw the glyphs in Amnesia,” he answered after a moment of forethought. My spirit lifted, we were in the clear. I looked over at Marcus and Luis and we shared a silent Hell yeah!-moment. We headed back to the hotel to drop off our free stuff and suddenly found ourselves in the lobby again. Valve had planned dinner at a place called Purple. No one of the nearby indies knew where it was, but it was supposed to be close by. “Ooh, I found it on my iPhone,” noted another indie. The concierge produced a final map for my collection and circled the hotel and the restaurant called Purple. It was a great moment of camaraderie. I felt a high-five coming on. “I can see you guys are having a moment, but we really need to get going,” said one of the indies. After we shared a fancy dinner at Purple we made our way back to the office for the release party. The place had been transformed into a club with people dancing and drinking. We grabbed a few beers and sat down in the lounge area. Then John, the Steam guy, popped up. John had brought with him some real beer and started to fill our glasses. It was truly a heartwarming experience. We were just three guys among a huge pile of indies and he really made us feel welcomed. “Is it true you guys never met while making Amnesia?” he asked. “We know – it’s weird,” we sighed in unison. The evening turned out really well. 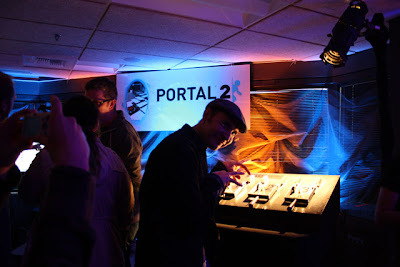 As the ARG finished, Portal 2 was launched with an actual switch thrown by the Champions of the ARG. After more beer and cake (no lie), we were ready to head back to the hotel. 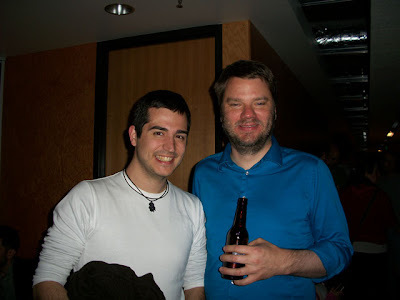 As we were leaving, Chet Faliszek, writer at Valve, approached us. There was nothing more to be said or done. 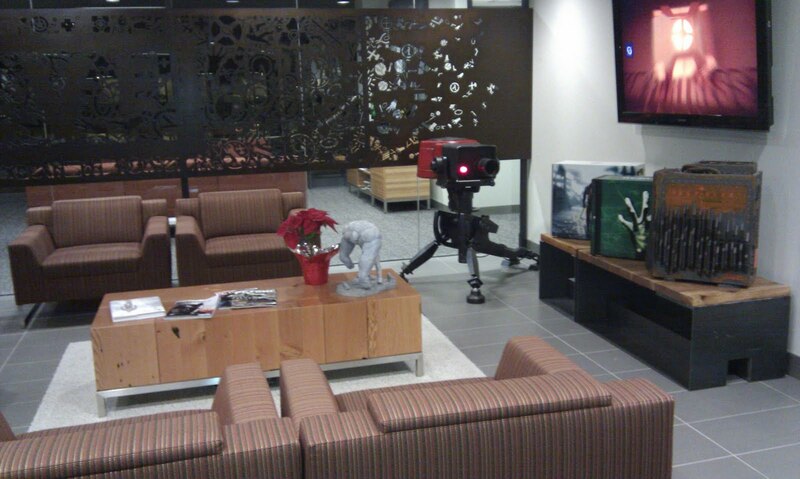 We were humbled by the great experience of visiting Valve and with good humor returned home the next day. On Saturday morning, the 11th December, I came across a strange mail as I did my early inbox checking. The email in question was an invite from Valve, asking us to visit them on the 17th, merely 6 days away, for reasons that were quite obscure. The only thing we knew was that it had to do with Portal 2 and that it might involve other game developers. We were of course intrigued, but at the same time a bit reluctant as we had to travel, a not short journey, in only a few days. However, after a few minutes of deep introspection, we thought "what the heck" and decided to go. Having come to this decision we were not sure if we would be able to travel though. Two years earlier it had become mandatory to have a visa in order to enter the US. Remembering the trouble we had with visas for our trip to Moscow, we feared that we would not receive them in time. Luckily, it turned out that that as soon as you pay for your visa, you are free to go. No wait or anything like that. And thus, Jens and I were ready to cross the Atlantic! Seattle (or Bellevue to be more exact) lies at the western American coast and it takes about 24 hours of travel, from door to door, for us Swedes. Needless to say it is quite an exhausting trip. Added to this is a nine hour jet lag, that caused us to lie fully awake in the middle of the night (sleepless in Seattle, har har,...). And as if that was not enough I also managed to blow my left eardrum, forcing me into the weird habit of turning my right ear to face whoever spoke to me. I digress though, enough of our troubles and on with the fun stuff! 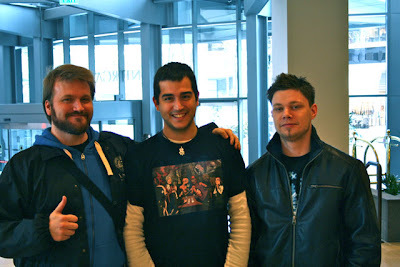 The morning after the arrival we went to the Valve headquarters, situated at a 15 minute or so walk from the hotel. 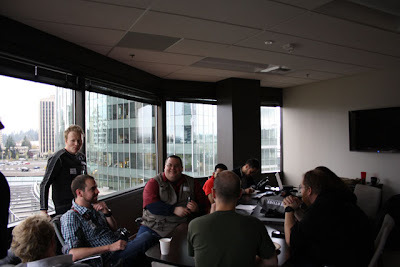 At the lobby we were greeted by an automated gun turret which we barely managed to sneak past, only to get ambushed, caught and forced into a meeting room full of indie developers and a few Valve employees. Everything started out with nobody, not even the Valve people, seeming to have a clue what it is all about. It was all quite ominous to be honest. At this point Gabe entered and explained the master plan, which finally made us understand the purpose of our visit. The gist of the idea was to make the community release Portal 2 and do so with the help of a bunch of indie games. Basically, a nice way to make the users take part in the release of the new Valve game and a boost in publicity for the other developers involved. The two days planned at Valve HQ were then all about figuring out how to go about doing this. Here Valve had no clear guidelines and just basically wanted us to brainstorm all kinds of weird ideas that could be used. My and Jens' crucial question to this was of course: "Do we need to worry about age rating?". When answered with a negative, all kinds of strange ideas started brewing in our evil heads. 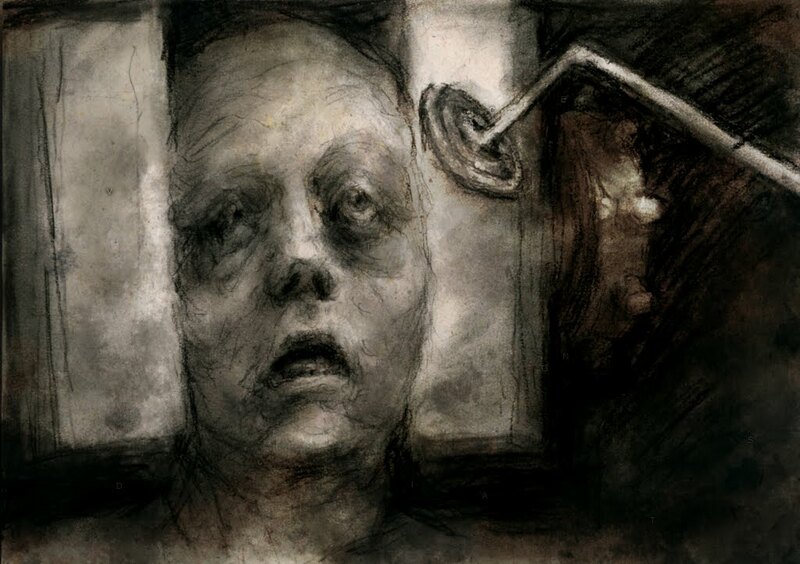 For instance, one early idea was to have live-footage of someone being tortured (all acted of course, promise!) and make that into massive Milgram-kind-of experiment. This was scrapped for some other ideas though, which I will get back to in wee bit! 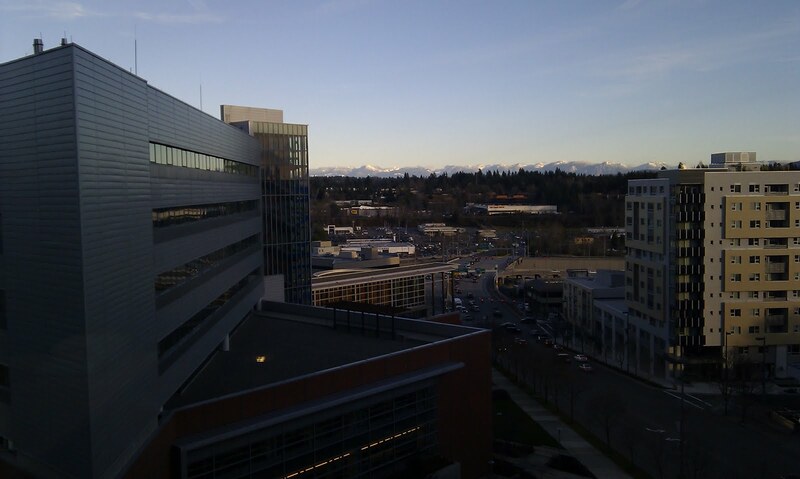 The view from Valve's office is quite nice. An important note here is that all these meetings took place without us having to sign a single NDA. This is pretty much unprecedented when dealing with big companies, who all normally require all kinds of soul-selling documents to be signed in blood before anything can be talked about. Valve also gave us full access to their IP, usage of assets for Portal and whatnot. During the visit they also allowed us to roam around the office (no ep3 found, sorry), try out an early build of Portal 2 and let us in on some other secrets (no ep3 there either, again sorry). In one dark corner a strange ritual seemed to be in process. When meetings were done on Friday, there were tons of ideas on what to do, a very basic outline of the event flow, but still nothing very concrete. The plan was instead to let everybody think about the things discussed and to set up a wiki and mailing list where the discussions could continue. Now all what was left for us was to go home the next day. Except that did not happen. Instead Heathrow got overwhelmed by some flakes of snow and canceled all flights. We were now officially stuck and had worries whether we would make it home for Christmas or not. Fortunately, we contacted Anna at Valve who put pressure on the booking agency and got us new flights home for the very next day! In business class! Now all was good except that my ear started leaking some strange liquid (and continued doing so for the following two weeks), which I was forced to wipe off every ten minutes. Despite this we managed to get home somewhat alive on Monday night. After some rest and ear-drainage, we started to lay out plans for our part in the ARG. As we were in a tech-development phase of the next, super secret, project, the artists did not have that much to do and we figured we could let them focus on the ARG instead. 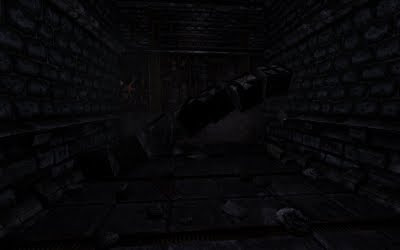 This led to us coming up with the idea of a Portal game set in the universe and style of Amnesia, with the addition of a juicy perma-death mechanic. The main reason simply being that we wanted to see how it affected the level of scariness and had high hopes we would mess people up. With the above set, I threw together a basic design for the game; a sort of Saw-like trial run orchestrated by a, Báthory-inspired, mad young lady. At this point we did not worry too much about of the ARG puzzles, mainly because there was nothing decided, and figured we could just add it later on. My design of the add-on story "Justine" started out very basic (and honestly quite dull), but through great efforts by the rest of the team it managed to get really nice. For instance the puzzles, especially the first one, were not all that great at first, something that Jens managed to fix when scripting. Mikael, our writer, added quite a lot of depth to the initial plot and our artists, Marc and Marcus, created very nice levels and graphics out of my crummy sketches and often non-existing descriptions. Because of their endeavors me and Luis managed to stay focused on the tech most of the time, only chipping in a bit at the end. 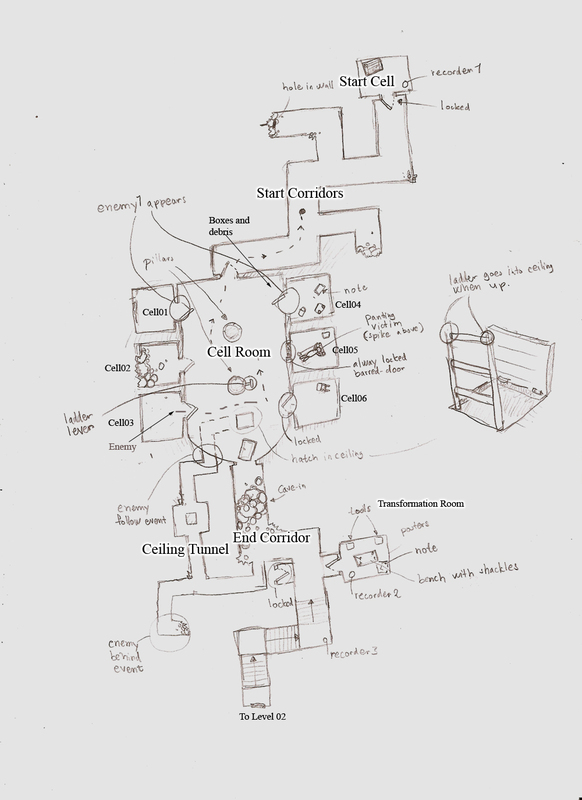 Design sketch for first "Justine" Level. This is all the artists had to work with basically. The ARG really picked up pace once Jeep from Valve put together a document outlining the basic steps of the meta game. It was here that the guidelines for each of the three updates were set and now we started contemplating how to add the clues to Amnesia. Our first idea was to release the "Justine" expansion at the start of the ARG and then add new elements to it at each update. Mikael was put on designing these puzzles. As the ARG was getting closer, we started to realize that we would not have "Justine" ready until the meta-game's start date. This forced us to re-think how the different hints were added in our game (meaning the puzzle work done by Mikael had to be thrown out). 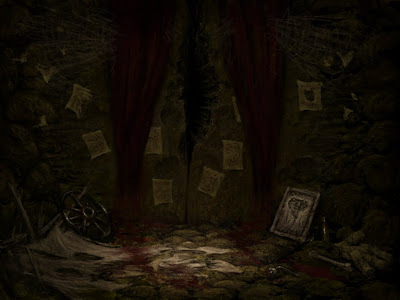 Amnesia being a serious game that is all about atmosphere, we did not want to add cheeky out-of-place stuff scattered here and there; instead we wanted all hints to fit the game. 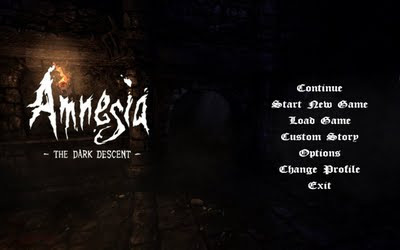 The idea was now to have all of the updates in Amnesia, but to have them as elements that an unsuspecting player would take for a part of the game. In this new design, we had all three clue updates in the normal Amnesia: The Dark Descent and then for the final "crescendo" event we would release the "Justine" expansion, with the goal of having X amount of people complete to unlock our final part of the ARG. Our, somewhat sadistic, hope was the people would reluctantly force themselves through the game to complete the final part of the ARG. However, it turned out I had missed that this part of the ARG had changed (which Dan of Dejobaan pointed out to me), and was now just all about playing games instead of achieving certain objectives. This forced us to release "Justine" a bit earlier and also moved a hint, meant for the normal game, into "Justine" instead. Again Mikael was put on the task of creating the puzzles needed. The day before the ARG started, I put together a cryptic blog post, with the intent of introducing the community to a character that might help and confuse them during the ARG. Our initial plan was to keep everything "in-character" according to our own sub-story, with forums posts complaining about escaped animals and the like, hopefully with people wondering what was true and what was not. Unfortunately, it was figured out very quickly that the whole thing was an ARG for Portal 2 (or at least the general Internet-consensus was this) and instead we just used the character to hand over some hints. The potatoes emerge from the darkness! Finally the ARG arrived and people threw themselves over our update. This first update was really just meant to contain very little of interest, essentially only displaying a special glyph, a letter and peculiar sentence. To pad out the update a bit, and to hide the hints from people searching the new files, we added some un-exciting assets from "Justine" and a few fake hieroglyphs that were only visible to those not looking for the glyphs in-game. 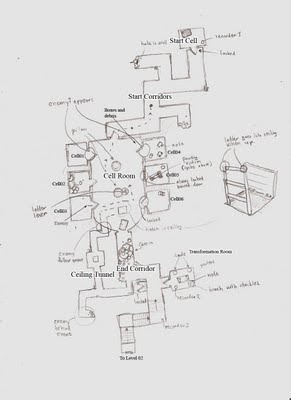 It turned out that almost no attention was paid to the important content though, instead most people were extremely excited about the "Justine" assets, some even convinced that a new secret level was hidden somewhere (and found several plausible locations for this lost place). 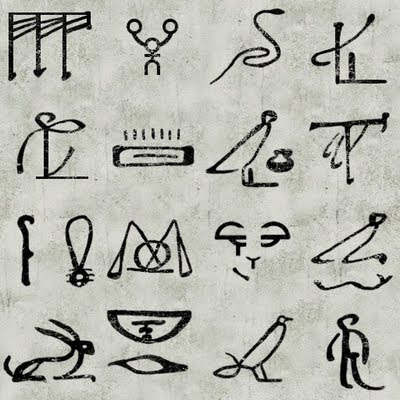 The hieroglyphs also turned out to be more interesting than the correct glyph, and people even started to decipher their meaning. I actually felt a bit bad about this, and even though no ancient Egyptian expertise would be needed, we decided to use the glyphs somehow in later updates. 14 hieroglyphs, 1 ARG glyph, and one strange Marc:ian sign. This brings us to the second update, in which we were supposed to have some minor Portal hints. Our choice of hint was to project the shadow of one of the Portal 2 robots onto a wall in the start menu. My hope was that people would take a screenshot, and make photoshop-enhanced images, ala big foot footage, with heated discussions on what it look like ensuing. That did not work out as planned of course, and instead someone found the actual texture, where the portal 2 robot was clearly visible, even before it was spotted in the menu. Our evil plan was spoiled. Lesson learned: always hide the fun stuff! The shadow of a robot was not all that was part of the second update though. We had also added some clues, that lead up to a special steam overlay and a password for Rush. At first these clues where all simply in a note and a clear voice message. But as we thought it was so fun to watch people trying to crack the riddles and search our files at the first update, we decided to add more content and make the puzzles a bit harder. This was accomplished by encrypting the (already cryptic) text with a non-standard substitution cipher and by adding some noise and effects to the voice message. Along with this we also added four rar files, one of which could be opened by solving a puzzle involving the previously mentioned hieroglyphs and some knowledge of the Cthulhu mythos. The first rar then contained a password to the next rar and so on. Each rar file also contained a text and image that would tease about the soon to come "Justine" add-on story. Unfortunately, pretty much nobody bothered about discussing these bits. Either people were too caught up in solving the puzzle (only seeing the texts and images as means to an end) or they were not that interested into solving the puzzle and did not pay attention to what was uncovered. One of the hidden pictures that nobody cared about. As we added these new stuff, especially the hieroglyph-related puzzle (that was written on a wall) and the encrypted note, I think that we might have disturbed the atmosphere a tiny bit too much. The encrypted note uses a cipher that could have been used in the 19th century, but still feels a bit out of place. The (hidden) writing on the wall is even worse as it does not really makes sense in the game's world. I think they did not interfere with many (if any?) people's experience in the end though. Still, it is worth thinking about the impact that this kind of stuff has on the normal game, even if it is just a for a limited time. With update 3 out and us having checked that it ran okay (we added some fixes the day after release), we could relax more and did not take as much part in the ARG as we had earlier. A few days later the final crescendo part of the ARG started, where all the games taking part in the ARG needed to be played in order to awaken GLaDOS. It was really fun to see how our game's bar went the slowest. People afraid to play = mission accomplished! 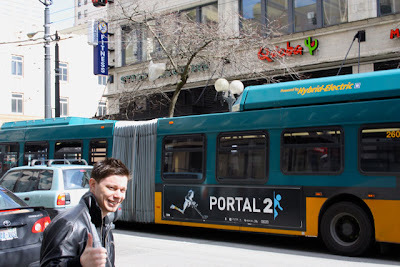 It has been great fun taking part in the Portal 2 ARG. Being on a project together with other indie devs and Valve, trying to figure out tricky riddles, lurking in IRC channels, etc, have all been awesome. Apart from all the jolly good fun, there have also been financial rewards to this. Amnesia sales alone went up a lot during the ARG, and we were on the Steam 20-top for quite a while. The first two days of income pretty much paid for all work put into the "Justine" add-on story. Now as the ARG and sale is over, our daily sales have almost doubled, so not only did we get boost during the event, it also had a lasting effect on people's awareness of Amnesia. If you are interested in reading more about the puzzles that were part of Amnesia or any other game's updates for that matter, head over to the ARG Wiki. A final note: For those that do not have Steam, "Justine" is coming... soon...and there will be surprises! The following was all part of the Portal 2 ARG that we participated in and is not really important any longer. Keeping it for historical reasons. So I just awoke to what can only be described as manic giggling and intense keyboard mashing. First thinking it was hallucinations caused by recent days' fumes I ignored it. But it would not go away and I finally went up to investigate. What I found was that my desk was spattered with fresh blood and mucus, something I spent the last minutes cleaning up with high pressure hose (we installed one after the "Sottoth-incident"). Anyhow, this can only mean that one of the old specimens, subject H, has escaped once again. How he did manage to pick the lock without any fingers boggles the mind. I guess he always did have dexterous feet though. Once we catch him there will no more of that though. In any case, if anybody spots strange messages on the forum or whatnot, please ignore them and just report back to me or anyone at FG. I assure you anything that subject H says is all just a mad animal's ramblings. Nothing to take any note of. Would be great if you all could help me catch the bugger. Oh, well time for placing some bear traps I guess! PS: Good news from Razer, looks like the problems are fixed now. 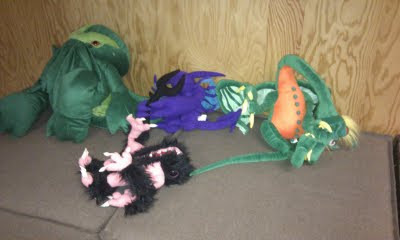 To all those that have reported missing limbs: we are working on finding (somewhat) fresh replacements! PSS: What in god's name is that in my shoes!! !